For the past several years, Condor has particpated in Zelienople's annual Memorial Day celemony, honoring those men & women who gave their lives to protect the freedom we enjoy. 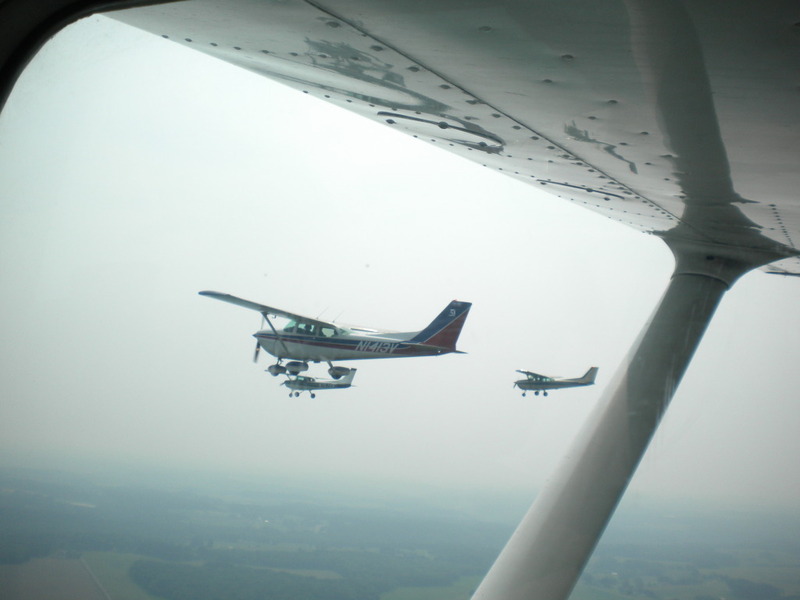 May 31, 2010: The ceremony, which in cluded Zelienople Mayor, Tom Oliverio, the Seneca Valley Band, and members of American Legion Post #474, included a fly-over by Condor aircraft. 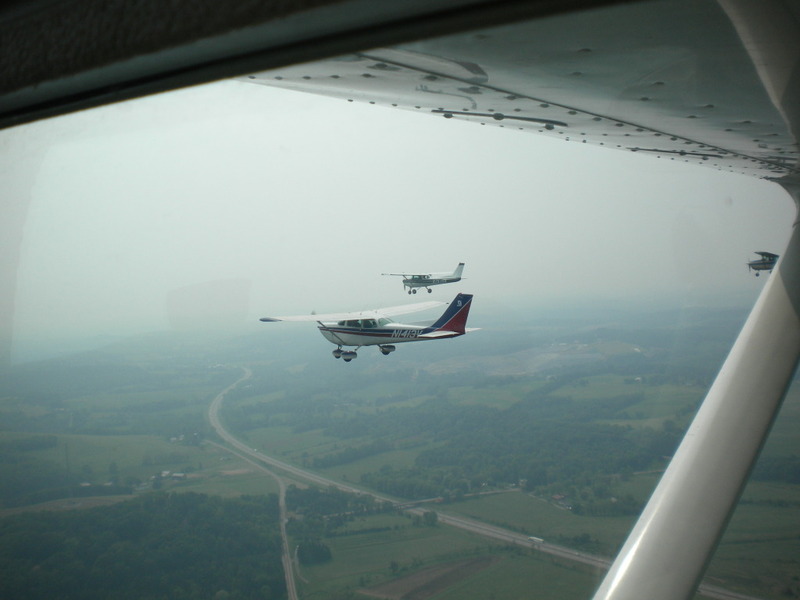 Don Lavoie led a squadron of Condor aircraft in a Fingers-Four formation performing the "Missing Man" maneuver. 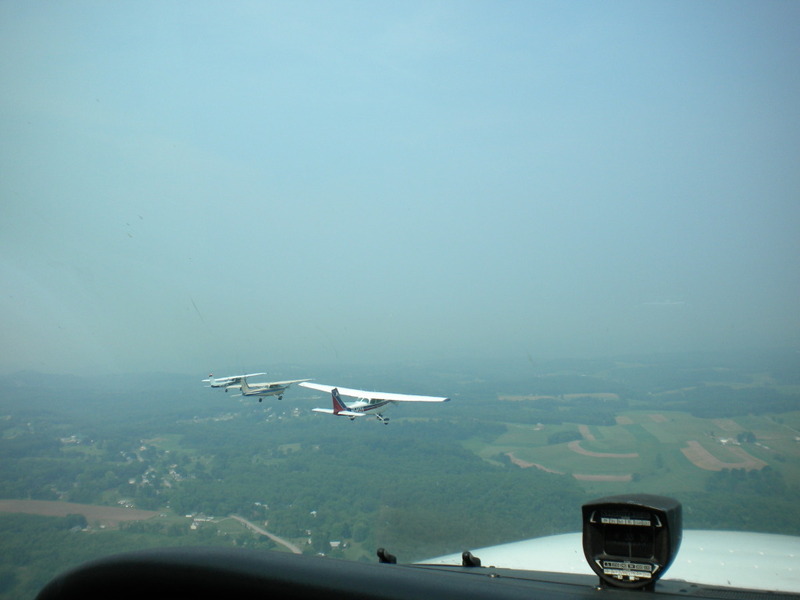 Joining Don were Fred Kim, Rich Steiner, Adam Gercak, and Jason Jodkin who performed the "missing man" maneuver.